(Reuters Health) – The characteristic hardware of the Google Glass frame partially obstructs peripheral vision above the right eye, according to an ophthalmologist who owns the wearable tech himself. “I actually had Google Glass myself when it first came out, and I almost got into a car accident when I didn’t see a car coming from the right,” said Dr. Tsontcho Ianchulev of the University of California, San Francisco. “I realised as an ophthalmologist it was blocking a part of my visual field,” he told Reuters Health by phone. Google Glass is a small computer that’s mounted in frames that look like eyeglasses. A small monitor tucked into a corner of the frame lets users read email, check maps, and basically see what they’d see on their smartphone. In a recent study, Ianchulev and his colleagues compared Google Glass with regular eye wear to test its effect on visual function. Three healthy individuals with 20/20 best-corrected vision and normal baseline visual fields wore the device. After an hour of wearing Glass to get acclimated, they completed visual tests to assess their peripheral vision. Then the same three people completed the same tests wearing regular eyeglasses. All three participants had noticeable blind spots in the upper-right area of the visual field, due only to the hardware of the frame, since the device was turned off and software was not running, the authors write in a research letter in JAMA. The spokesperson stressed the importance of wearing Glass correctly, which is reviewed in the introductory materials for setting up the device. The display should be positioned above the eye and not in front of it, according to the Glass quick start guide. Ianchulev and his team searched the Internet for images of Glass users to survey how people wear them. In about 30 per cent of the images they saw, users had positioned the prism, or screen area, in front of the pupil of the right eye, which is likely to interfere with vision. According to the Glass FAQ page, consumers should follow the laws in their areas regarding using mobile devices while driving or bicycling, and should use care even within the law. 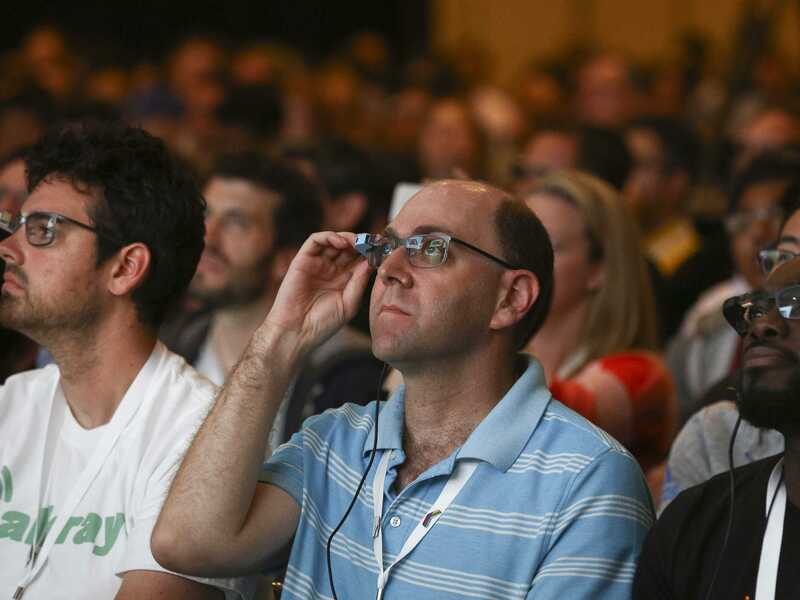 “The population that wears Google Glass right now are young and very active,” Ianchulev said. The blind spot could be minimized with a better fit or different design, he said. Glass is a one-size device but people have different-sized heads, he observed. The Glass help center indicates that its durable frame can be bent to fit any face. Glass is a good tool for specific tasks and at work, he noted. This article originally appeared at Reuters. Copyright 2014. Follow Reuters on Twitter.